As temperatures in Gotham rose into triple digits last week, the National Weather Service implored New Yorkers to stay indoors and crank the air-conditioning. 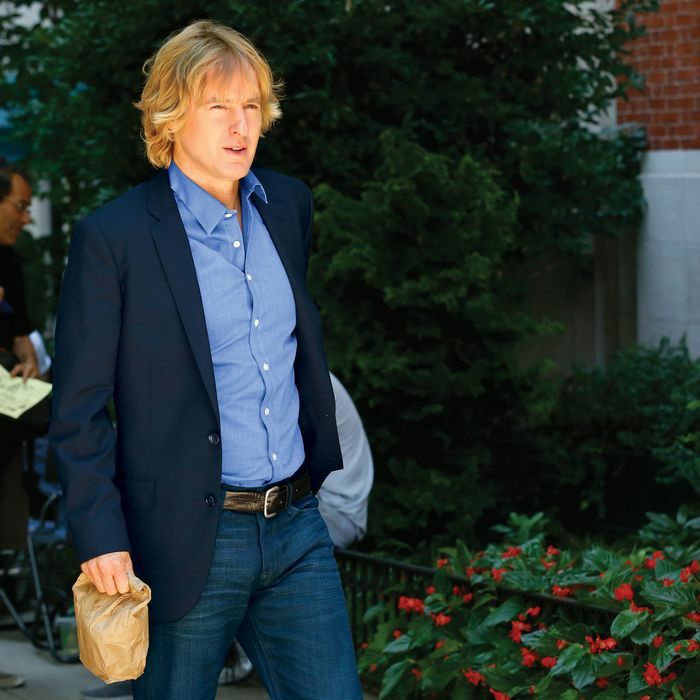 Among the stars of Peter Bogdanovich’s upcoming comedy, Squirrels to the Nuts — starring Owen Wilson as a Broadway director who casts a prostitute (Brie Larson) — only Jennifer Aniston seems to have listened. At the July 16 shoot, on 94th Street between Madison and Fifth, she spent two hours in a trailer, for makeup and wardrobe tests, then fled the set in a Town Car. Despite his superhuman ability to project coolness, Wilson didn’t draw much attention from the dozens of paparazzi there to shoot Aniston. “He walked right through them, but I think I was the only one who took a picture,” says Peterson.